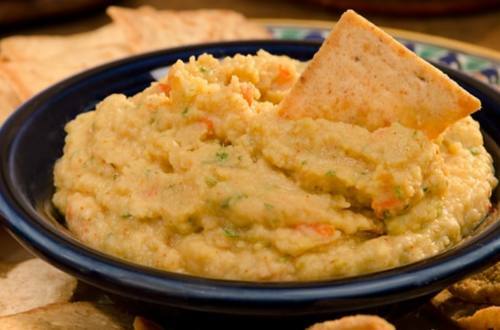 Bring a Mexican influence to hummus with our Mexican Chipotle Hummus Dip recipe. With flavors like cilantro, lime, and chipotle chile pepper, it's truly an irresistible dip. 1 Process Knorr® Vegetable recipe mix, chick peas or garbanzos, lime juice and chipotle pepper in food processor until almost smooth. Add cilantro and pulse just to combine; chill if desired. Serve, if desired, with cut pita bread triangles and/or your favorite dippers.